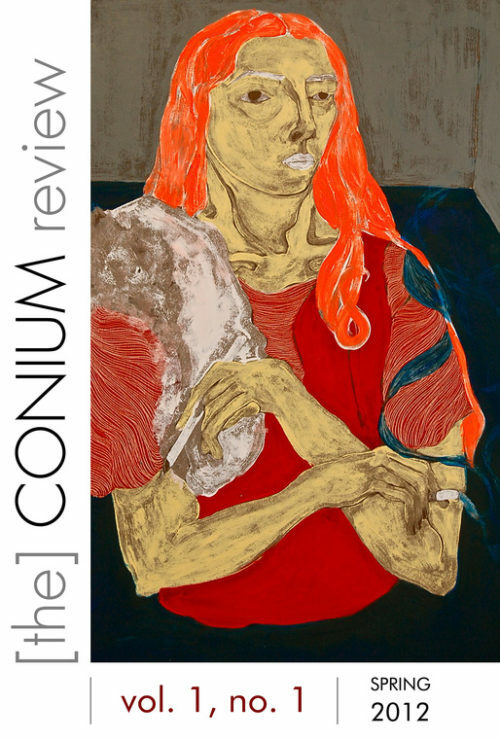 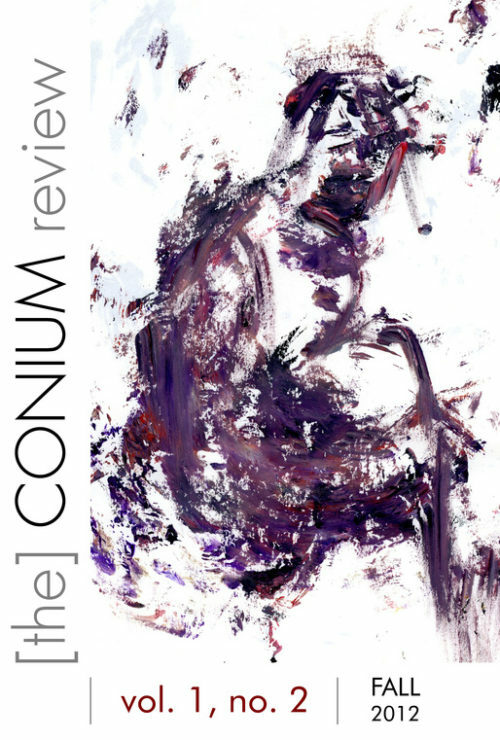 This volume of The Conium Review features eight new stories from Olivia Ciacci, Tom Howard, D. V. Klenak, Jan LaPerle, Zach Powers, Christine Texeira, and Meeah Williams. 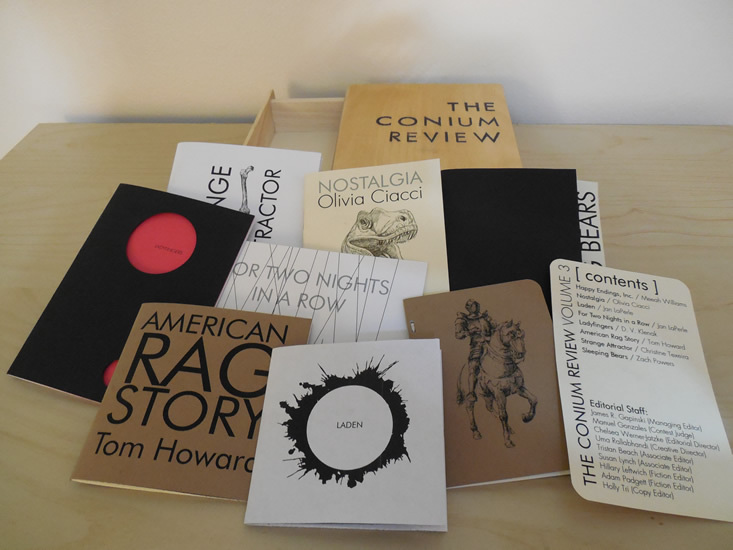 In these strange and surreal stories, you’ll find a company that sells knight-in-shining-armor-style happy endings, a boy with a second person trapped inside of him, a contemporary fable with a chickadee protagonist, and more. 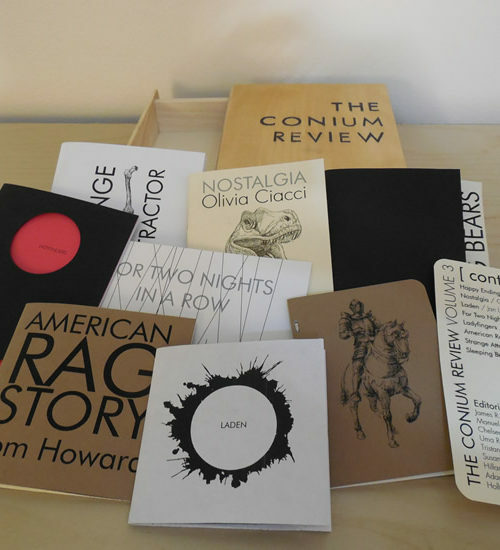 The pieces include flash fiction, short stories, and novella-length fiction. 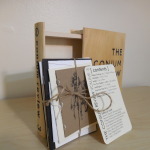 This is a book for book lovers. 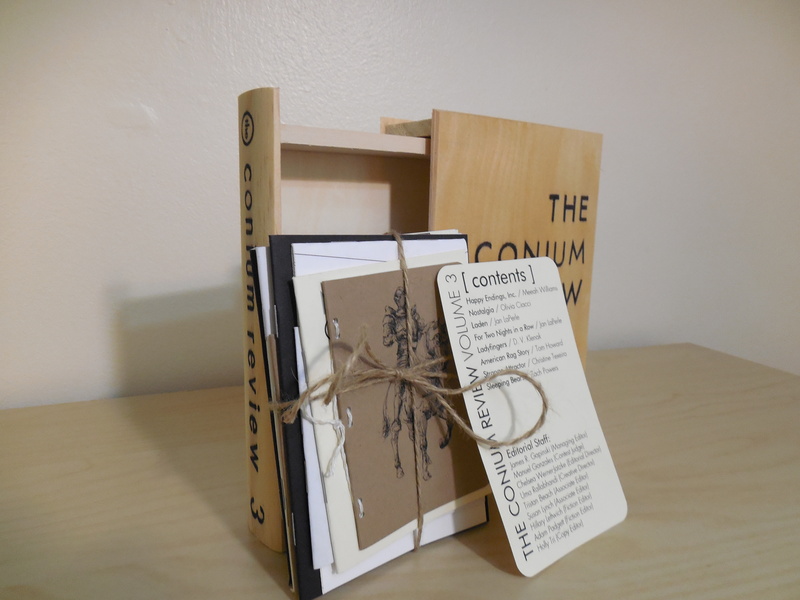 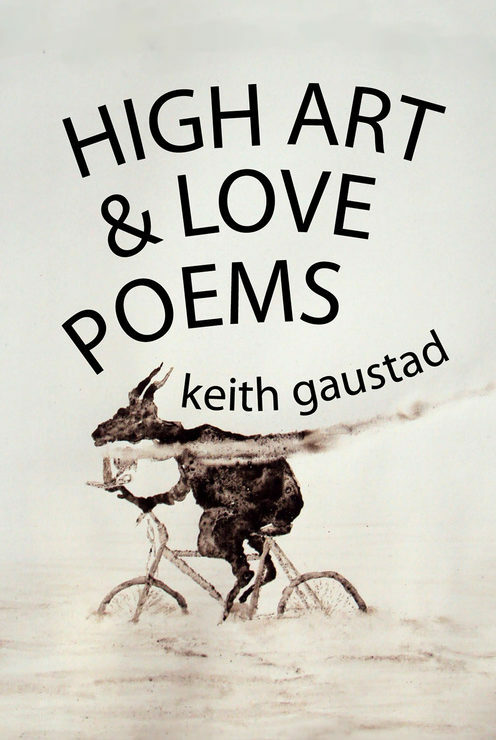 It is crafted with care by Conium Press. 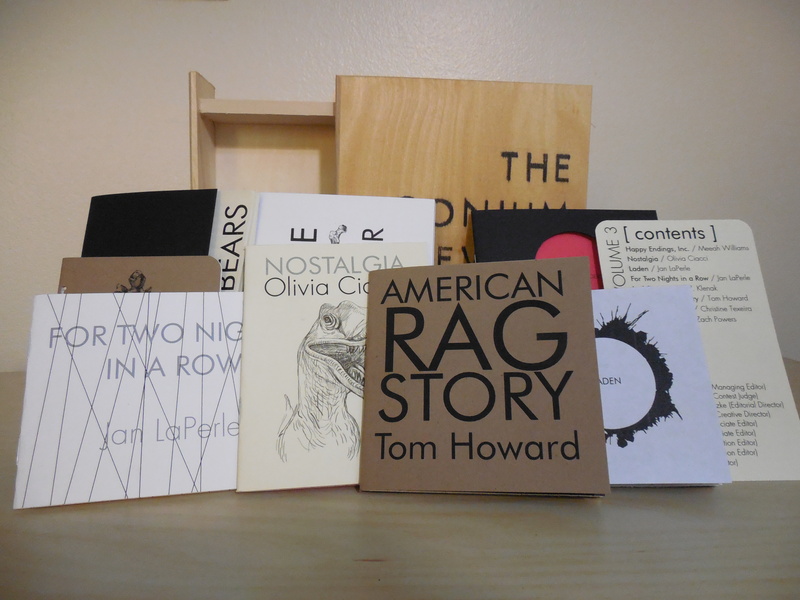 Inside each hand-stamped box are individual micro-chapbooks, broadsides, and booklets with all the stories from Volume 3. 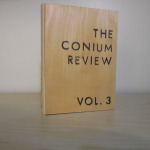 The wooden box has been lightly conditioned with linseed oil, mineral oil, and orange oil to ensure it lasts for years to come; the contents are printed on a variety of papers, including parchment, linen, and recycled stock. 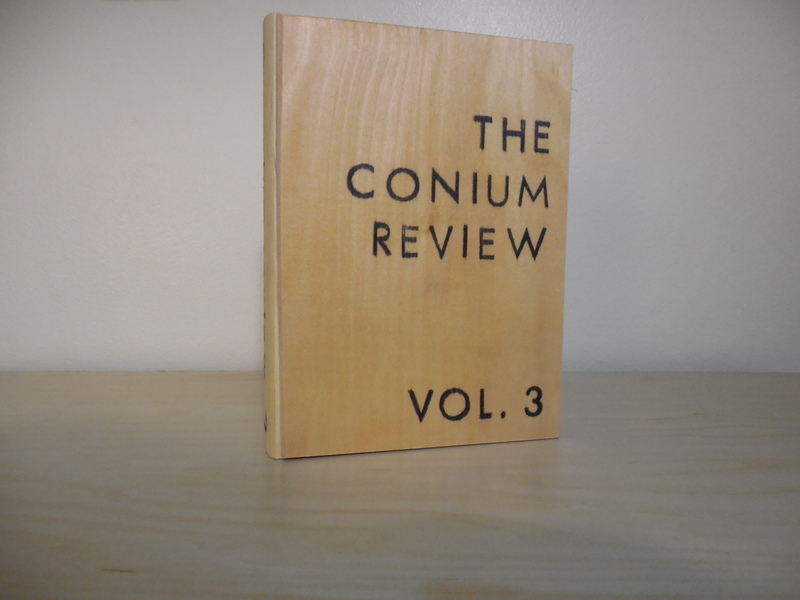 The Collector’s Edition is a beautifully crafted collection deserving of the stories it holds. 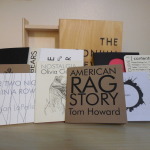 Manuel Gonzales judged our 2014 Innovative Short Fiction Contest and selected Tom Howard’s “American Rag Story” as the winner. 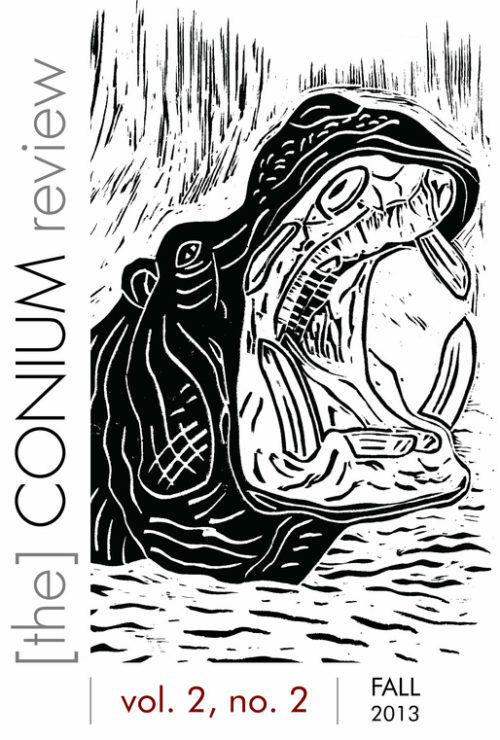 Manuel is the author of The Miniature Wife and Other Stories (Riverhead Books, 2013), and he teaches at the University of Kentucky MFA Program.